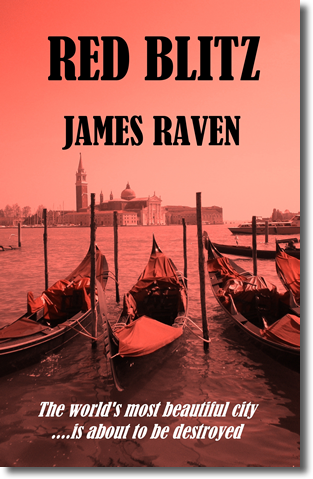 Welcome to the official website of crime writer James Raven. Venice is doomed. This is the awesome discovery made by police after a terrorist is found dead in an apartment. The man has left behind a note which reveals that he has hidden a large number of bombs throughout the city. And he warns that if his demands aren't met they'll go off - killing hundreds of people and destroying dozens of historic buildings. Only the terrorist knows where the bombs have been planted and he's taken the secret to his grave. As the bombs start to explode, and people begin to evacuate the city, police chief Armond Cali uncovers a sinister plot behind the attack.